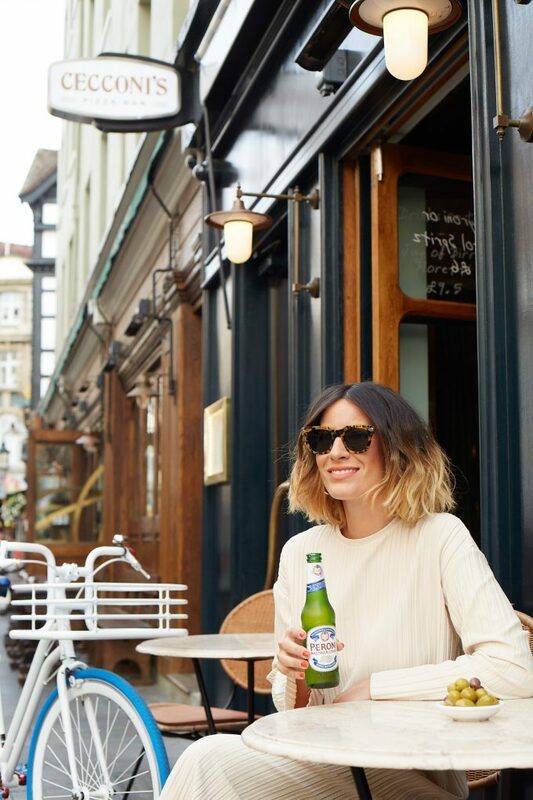 HERE I SHARE SOME OF MY FAVOURITE LONDON HAUNTS. THESE ARE GREAT FOR ESCAPING THE CHAOS OF LONDON FASHION WEEK THAT CAN AT TIMES BE CHARMING AND AT OTHERS FAR LESS SO! I’M ALWAYS KEEN TO EMBRACE LONDON’S VARIED CULINARY OFFERINGS AND THESE ARE THE SPOTS YOU’LL FIND ME AT. SPANNING FROM PIZZA AND PERONI IN SOHO TO NORTH LONDON FOR FRESH PRODUCE, VIA COFFEE AND CAKES, THESE ARE MY GO-TO PLACES TO TAKE A BREAK FROM FASHION WEEK. This summer not only did I have the opportunity to head out to the most gorgeous chateaux about an hour from Bordeaux with Grey Goose but I also had the opportunity to work on creating the ultimate French inspired- true to their roots, brunch menu. Using incredible produce and pairing dishes not only to the five key taste profiles; Sweet, Bitter, Sour, Salty and Umami but also to cocktails. Working with the head of bars at The Ned hotel Dan Berger we created a ridiculously indulgent brunch and you can see all the pics of it below. This festive season is all about making the most of your seasonal produce and using your fruit and vegetables as beautiful (and edible!) table decorations. So throw out the plastic decor, tinsel and ball-balls and head straight to the fruit and veg aisle. Add in cinnamon sticks and adorn your fruit with cloves to add an extra festive scent to your table. Give your guests a little something to take home…this season I can’t get enough of the scent of fresh herbs, especially fresh rosemary, thyme and sage. So why not turn them into a bouquet garni? I love decorating each place setting with a herb bundle which guests can take and use when cooking up their next winter soup or stew. The added bonus is that they look super pretty too. Having a colour theme doesn’t need to end at decorations and place settings. Go bold with food and drink choices, creating striking dishes in colour ways that complement their surroundings. Think on trend tones…this season is all about colour blocking, so scrap traditional tartans, red bows and things that sparkle and go understated and considered with varying shades of pinks, greens or greys. Candles are a must and the more the merrier. Even if your overall look is pretty pared back be sure to go all out on the candle front. You can even use candles during daytime meals where they add a sense of warmth and luxury whatever the time. The number of vegans in Britain has risen by more than 360 per cent in the past decade. But they're not the only ones hungry for meat-free dishes. Recent YouGov research found that more than half of us think meat is not a necessary component of every meal, and many in the restaurant trade are responding by offering a more veg-centric approach. High street chains such as Asian fusion favourite Wagamama and pub behemoth JD Wetherspoon's are now offering vegan and vegetarian menus. Even McDonald's is after a slice of the vegan pie: this month, the franchise announced it is testing out a McVegan burger (available in Finland only, for now). World Vegan Month,which takes place in November, has encouraged even more restaurants to take up the challenge. Italian restaurant Carluccio’s has just launched its first exclusively vegetarian pop-up: Cucina Verde will take place on #MeatFreeMondays throughout November. 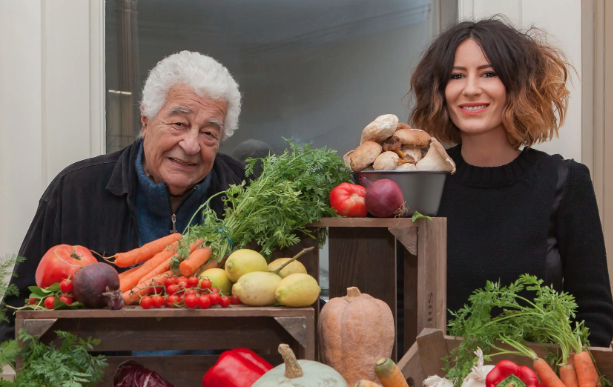 It's set to showcase over 20 Italian veggie and vegan dishes from Antonio Carluccio, created in collaboration with cook and food writer Anna Barnett. Meanwhile, the autumn menu features newly launched vegetarian and vegan staples (all to be washed down, of course, with vegan wines). Antonio Carluccio's personal favourite is the orecchiette al cavoflore (caulifloweR purée with kale and chilli). For Carluccio, the simplicity of vegetarian and vegan food reminds him of the "peasant cooking" of Italy, and ties in with his essential motto, "mof mof" (minimum of fuss, maximum of flavour). "You only need two or three ingredients to make a wonderful dish," he tells me. This philosophy is exemplified in his latest cookbook, titled quite simply Vegetables (scroll down for an exclusive recipe for sweet and sour pumpkin from the book). He suggests a considered way of using spices and herbs when it comes to vegan and vegetarian dishes, and laments the fact that Brits often consider a dish to be Mediterranean simply because it contains plenty of garlic and a mish-mash of herbs. "Oregano disturbs almost every dish. You feel the taste everywhere. There are many other herbs like chevril and tarragon and so on that you can play with, and if you don't put them all together, that's ok. It's a question of balance," he advises. "A pepper or an aubergine can be treated in such a way that it becomes as tasty as meat." He particularly recommends that fans of plant-based dishes experiment with the cardoon, which is similar to an artichoke, dipped in anchovy butter and garlic. "It's delightful," he sighs. For Carluccio, the rise in the popularity of plant-based eating is a trend that's here to stay: "I don't like something because it's in fashion. That means it's going to go away. Vegetarian or vegan food is a question of nourishing the body with something pure and nice. It's not a question of the fashion, but of taste, variety and requirement." Similarly, Anna Barnett sees it as a cultural shift away from the ingrained meat-and-two veg model, rather than merely a trend. "I think everyone is more educated, and more conscious of the environmental impact, as well as the impact on their own health," she says. "There are so many incredible recipes being shared now using seasonal produce, so you don't need to feel like you're missing out with a veg-centred dish." Carluccio says this pickle is great as an accompaniment, but can also be served by itself, as a little antipasto, or as part of an antipasti board. Peel the pumpkin and cut it first into 10cm sections, then into thin slices | Dust the slices with flour | Add enough olive oil to a medium frying pan so it is 1cm deep | Place over a medium heat then fry the pumpkin slices until golden on both sides. Drain on absorbent kitchen paper. In a ceramic dish, make layers of the pumpkin slices, interspersed with the sage leaves and rosemary needles | Put the vinegar in a small pan along with the garlic and some salt and pepper. Briefly bring to the boil | Pour the hot vinegar over the layers of pumpkin in the dish. Leave for a few hours for the flavours to combine before serving. I’ve created a series of recipes to showcase Denby Pottery’s brand new Natural Canvas range, perfectly formed for entertaining without formality. I’m working with Denby to launch the new collection to press by hosting a dinner party style event that will showcase the range alongside the dishes I’ve created for them. Having been lucky enough to work with Bottega during their launch of Bottega Gold to the UK market; (I hosted and curated an Venetian inspired feast) I was hugely excited to take a trip not only to the vineyards where the grapes are grown but also to the winery where the real magic happens. We also were invited to spend a night in Venice pairing the Bottega prosecco and sparkling wines with incredible local food! Located in Bibano di Godega, (45k north of Venice) the vineyards are proudly organic meaning any synthetic fertilizers, pesticides or herbicides are strictly prohibited. Not only do Bottega produce an incredible Prosecco; Bottega Gold which is grown in the hilly landscapes of the most expensive vineyards (it’s essentially a DOCG with only its opaque gold bottle prohibiting them from using this classification as the bottle too must adhere to strict guidelines) they also produce their own olive oil, balsamic, spirits, grappa and sparkling rose wines. During the trip we got to see first-hand the vineyards where the grapes are handpicked and used to create the very highest quality Prosecco. We also sampled the complete Bottega sparkling wine and Prosecco collection numerous times alongside local delicacies which needless to say are completely delicious. We also spent a night in Venice where we ate course after course of incredible Venetian seafood which couldn’t be a better pairing for the Bottega wines. At the helm is Sandro Bottega, the most passionate, driven, high energy figure you can imagine. His drive to constantly create something new, unique and interesting is felt across much of what he does. Watch this space…there’s plenty more on the horizon. If you fancy trying a bottle, which I would highly recommend, the Bottega Gold is my favourite and is sold in Selfridges, Ocado plus a heap of good independent stores. Last year I was lucky enough to explore Edinburgh for the first time and I absolutely loved my time there. Everything was fantastic; from the food (go to Timberyard if you’re visiting) to the very warm welcome from the locals. There was something extra special in the air and I vowed to return to Scotland as soon as I had the chance. I was keen to venture as far north as possible after hearing incredible things about the Hebrides with stories of its dramatic coastlines, microclimate, wild greenery and ocean views offering a world away from city life. So when The Botanist invited me along to Islay, the southernmost island of the inner Hebrides I knew it was an offer I couldn’t refuse. After an hour-long flight to Glasgow followed by a short flight on the smallest of planes which gave the most dramatic of views, we arrived on Islay. Vast stretches of windswept green bordered by the ocean guides us to the Bruichladdich distillery where we’ll also reside for the next two nights. By the time we arrive the clouds have cleared and the blue sky turns the ocean from deep grey to green and blue. All the seasons in one day rings true here so we’re told and see! For those that haven’t yet discovered The Botanist, it is a gin that is all about fragrant, bold botanicals; 22 wild, hand-foraged (on Islay) botanicals to be precise! Produced in the Bruichladdich distillery which famous for it’s single malt whiskies and iconic vibrant turquoise or ‘Laddich aqua’ packaging this is a gin with a difference and one all gin lovers should have on their radar. This small distillery has like many of the others born out of Islay suffered its hardships but has weathered the storm and in turn added the production of gin to its portfolio. With it’s quick ten-day turn around time gin offers a much faster return than whisky but rest assured, plenty of attention if not more is paid to the production of The Botanist. All 22 hand-foraged botanicals were decided upon due to their sustainability and availability solely on Islay. All of these are foraged, sorted and dried or made into tinctures to be added to the gin alongside nine berries, barks, seeds and peels. The laborious and lengthy season of foraging is down to one man; James Donaldson. An entirely passionate and invested forager who studied botany and is now tasked with ensuring he takes just enough from Islay’s shores to complete the ten distillations they do a year. Each distillation producing 250,000 litres of gin. Our trip includes a tour of the distillery which although is the second smallest on Isaly, employs by far the most people; almost one hundred. Machinery is far from automated. Much of what the distillery believes in and champions is based on and around it’s employees. There’s also The Botanist foundation, which supports sustainability, research, preservation, protection and regeneration. Ensuring the longevity of the product while caring and conserving the resources it pulls from its surroundings. We come to experience the strong sense of community that naturally comes with island life. We meet the mums, uncles, aunts and neighbours of those who guide us proudly around the island. We are also lucky enough to have time to explore the coastline and be fed by the brilliant Craig Grozier who frequently works with the distillery when they host. Food is expertly paired and is inventive, freshly foraged and as local as can be. From peat smoked sourdough with cultured crème fraîche butter to a starter of incredible freshly foraged girolles with aged halibut and an elderflower vinegar thrown in for good measure. It’s delicious and delicate with hints of sharp sweet and umami throughout. Wild hare comes next with freshly picked kale and a pear puree. Dessert is an exciting mix of dried mushrooms which deliver a deep cocoa aroma. We’re entirely spoilt and go to bed dreaming of that peat smoked sourdough. We enjoy our very own foraging trip which is led by James (the in-house forager) where we learn the miracles of what is grown around us. One particularly crazy delight is the ground ivy, which bizarrely tastes of rich roasted lamb with a hint of mint sauce in there too! He also picks ribwort plantain, which is known for its antibacterial qualities and for curing stings! We’re at the end of the picking season so much of what was abundant has now died off for winter. This however doesn’t detract from the enviable scenery that the island provides. Portnahaven; where the strongest currents reside (as do the robust seals) brings with it incredible scenery and endless ocean at the most westerly point of the island. Throughout the island there are numerous beaches carved into the coastline which I’d return to in a heartbeat to explore more of. One thing The Botanist certainly knows how to do is create incredible gin cocktails. 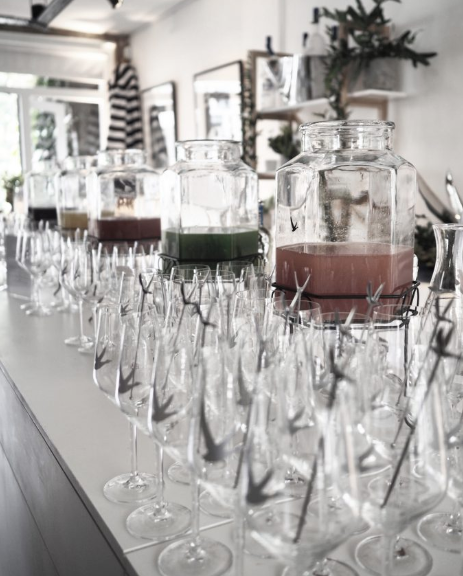 With Abigail Clephane sharing homemade sorrel and spruce shoot juice mixed with a generous serving of The Botanist you couldn’t feel more at one with the surroundings. You can’t help leave this special island feeling the warmth of the people that reside here. The ethos within Bruichladdich is felt through everyone we encounter. We’ve been entirely spoilt and you can see why this product is such a unique and special one. photographs from the event i did in collaboration with @greygooseUK at Shoreditch’s Barbour and Parlour this october. Where we perfectly paired the brand new Grey Goose La Vanille vodka with homemade desserts which our guests added their own final touches to before diving in! 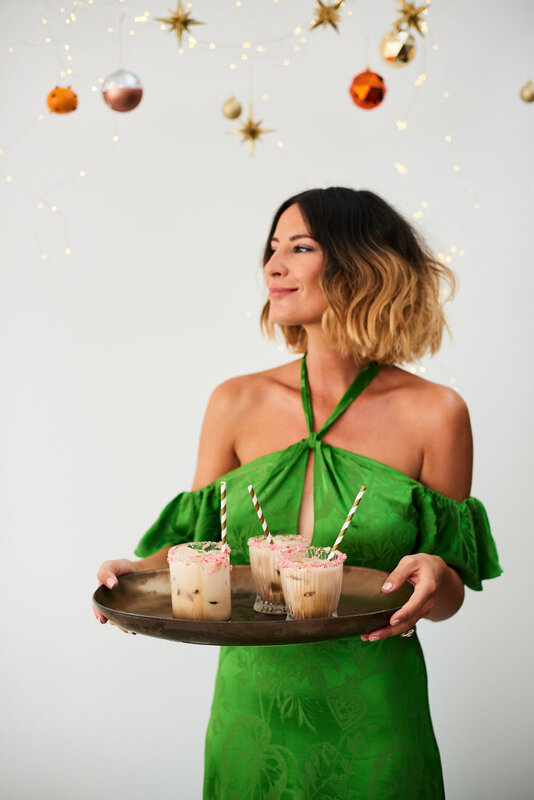 I was also sharing my top tips for mastering the art of hosting, covering everything from table decorations to what to cook! Did I mention we also got to sample the new La Vanille shaken up into the perfect reinvented Espresso Martini! 'Creating a home for yourself is the opportunity to really express who you are. We love getting to know our clients and helping them to translate their personal style into their homes. Our work is to understand their wants, desires and needs, all of which plays a role in the choices we make when designing. IT’S INCREDIBLE how many sustainable hotels and restaurants there are popping up all over the place, we stayed at and loved the Gallivant but a couple of other favourites include heckield place, the ethicurean and the wild rabbit pub, all of which i’ve visited previously. I was recently asked to get involved on Melissa Hemsley’s EAT.LIVE.DRIVE project in conjunction with the BMW i; a sustainable dining guide which aims to help create a more sustainable future through highlighting amazing sustainable restaurants alongside the groundbreaking innovation of BMW’s hybrid supercar, the i8. Full disclosure – I know very little about cars (although I can definitely appreciate a fancy car when I see one!) and I’m passionate about enjoying food that is as locally sourced and as sustainable as possible. My husband on the other hand loves his supercars so when we were offered the chance to borrow the i for the weekend and dine at a top sustainable restaurant we jumped at the chance. It looked like the perfect weekend for each of us. The husband was desperate to pack in as many trips as possible and first takes us across town, along the Thames and over to Chelsea for a rifle through the interior shops and markets there. Any excuse really to take the car out! He really is in his element here. Despite a definite winter chill in the air, he’s unphased and has the roof down, clearly loving every minute of it. As we drive slowly through the city of London he opts to make the most out of the hybrid functions of the car and drives for the most part on electric for an emission free drive (which he’s thrilled about)! We then set back across town and out of London to The Gallivant for a night away at the Camber Sands sustainable hideaway. The beach is set a stones throw from an incredible stretch of deserted beach much to the Husband’s disappointment who was looking forward to driving us there to get another run in the car! The hotel in true sustainable fashion is an upcycled old motel and boasts 20 rooms, a roaring fire and light drenched dining room. We’re lucky enough to have planned ahead and arrive on a Sunday in time to sample their Sunday lunch menu, all locally and responsibly sourced. It’s a feast. The Husband who is vegetarian is well catered for, the menu offers seasonal fare that’s completely indulgent. The sticky toffee pudding was incredible as was the roast beef I opted for, rare and generously portioned. The roast potatoes were also so good we request a backup batch which arrives abundantly portioned leading us (me) to request further gravy for dunking! Later on we retire to the cutest and most homely snug for back to back games of cards over one of their biodynamic red wines. The Gallivant is an ideal weekend getaway and at under a two hour drive from London means it’s a trip that can be repeated easily. It’s utterly relaxing and with the staff as friendly as can be, we were less than keen to leave. A brisk morning walk along the beach completes our little seaside jaunt and it’s time for us to head back out in the BMW i. It might also be worth noting that this car is a complete showstopper. In all seriousness, when we pulled up at some shops to top up on our snacks we noticed two people filming or taking pictures of the car. With it’s winged doors and unique brassy orange finish it’s unlike any other car you see on the roads. A complete head turner and apparently it’s the dream to drive!! I’m always keen to learn more about nutrition and how what we consume can impact the body. So when invited by St Helen’s Farm to find out how goat’s milk products can be a brilliant and nutritious alternative to the cow’s milk many of us drink daily, I jumped at the chance. St Helen’s Farm hosted a beautiful breakfast at the sun drenched and botanical inspired Bourne and Hollingsworth with renowned nutritionalist Amanda Hamilton where they showcased many of their goat’s milk products including butter, cheeses, cream, yogurt and even ice cream! Here we learnt quite how beneficial goat’s milk can be when compared with cow’s milk. It was a surprise to learn that goat’s milk is much more widely consumed globally than cow’s milk but more importantly it’s said to have more digestive advantages. It’s not only naturally nutrient rich but far gentler on the stomach due to its easily digestible fats and proteins. Being also lower in lactose means it triggers less allergies while still providing the high doses of calcium our bodies need especially in the younger years of our lives. In terms of gut health goat’s milk can also work as a prebiotic and helps to maintain the bacteria needed for a healthy gut. Many of us are brought up on cow’s milk and perhaps it’s all we’ve ever known. However I’m keen to start introducing more goat’s milk into my diet. There really is very little distinguishable differences in terms of flavour between goat’s and cow’s milk and the health benefits speak for themselves. St Helen’s Farm is a charitable organisation and one that donates all its profits to good causes.